A Happy Weekend! | Mary Jane's Niche A Happy Weekend! I had an awesome weekend! And this post is so late. LOL. Last Saturday August 15th was the first meet-up of the Iloilo Bloggers. We had lunch at Fort San Pedro and discussed the future of our group. We elected a new set of officers and planned for future events and meet-ups. Congrats to Claire – our new President! The lunch and meeting was fun because everyone really had the best sense of humor. You should hear Efren and Junelle laugh! It was also great to see Marcos again and I’m glad to meet Antoine Greg in person. We are also recruiting Ronald to become a member of the group as well as some of Junnjun‘s friends! To know more about the meet-up you can go here and for pictures you can click here. 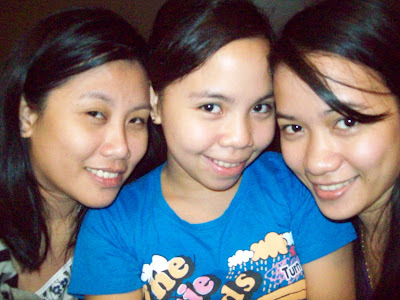 And last Sunday, Tim went home to Kabankalan so I had the chance to hang out with my best pals Monica and Amy. We had lunch and coffee. I haven’t seen Amy since we went to Guimaras in May so we had so much stuff to ‘talk’ about. LOL. Monica and I meet often so I don’t miss her. Joke lang Nix!harhar! For more photos of my Sunday please check out my photoblog. One Response to "A Happy Weekend!"